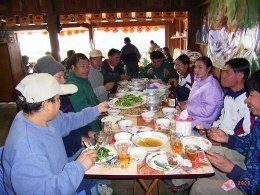 A focus of the EASLP project has been on evaluating the capacity building of livestock extension staff. The research was undertaken by Viengxay Photakoun for a Masters degree. The research found that the main capacity building methods used were workshop training, on-the-job learning, mentoring, staff meetings and cross visits or study tours. The research concluded that each capacity building method has advantages and disadvantages, so designing and using a combination of methods works best. An example of an effective capacity building program would be workshops provided at project implementation and then every six months, followed by specific topic training according to staff and farmer needs, plus encouraging district staff to work directly with farmers. Mentoring and staff meetings are also important in the first year with at least one cross visit or study tour. 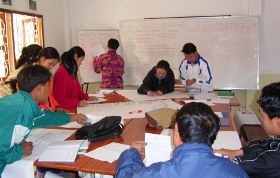 Factors contributing to effective capacity building are selecting good staff, encouraging teamwork and motivation by providing equal reward for all staff, providing opportunities for staff to work with NGO staff, sharing skills and exchanging ideas, and linking theory (school and college learning) with practice (in the field learning).